With a gleaming skyline, robust public transportation system, and high per capita income, Singapore is often held up as a paragon of development that other Southeast Asian countries seek to emulate. Global climate change has added a new area of developmental concern for nations and Singapore seems poised to be a leader in climate mitigation with its high position in the Environmental Protection Index and the Sustainable Cities Index. However, a closer look at Singapore’s climate commitments and non-state actors suggests that while Singapore presents a pathway for climate mitigation, the island nation still has scope to be more ambitious and those looking to follow in its path should take note. Situated one degree above the equator on a tiny tropical island, Singapore is faced with the unique situation of being both extremely vulnerable to climate change while also having limited means to mitigate it. Floods are a key threat vector for Singapore as 30% of the island is less than 5m above mean sea level and flash floods have become a fairly regular occurrence. Aside from increasing occurrences of flash floods, Singapore has also experienced a 1.1° C increase in temperature since 1972. This warming is amplified by the urban heat island effect that can increase temperatures in urban zones by as much as 7° C as compared to nearby non-urban zones. The three effects of flooding, sea level rise, and rising temperatures pose an existential threat to the island nation. Despite the clear need to mitigate climate change, Singapore faces one key challenge that has plagued the country since its founding – it simply does not have enough land. 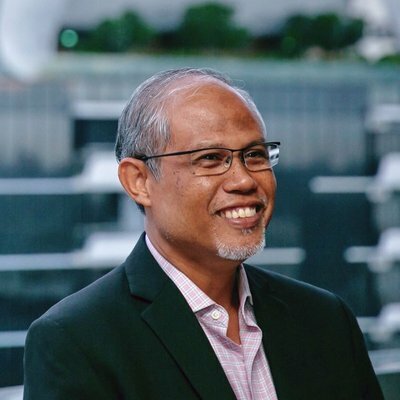 At COP-24, Singapore’s Minister for the Environment and Water Resources, Mr Masagos Zulkifli, noted that Singapore is a “small city state with limited access to alternative sources of energy [which therefore limits] how much it can do”. Land scarcity precludes the deployment of large scale solar or wind farms while busy sea lanes means that offshore wind or tidal energy developments are impossible. Aside from its limited ability to develop alternative energy, Singapore is only responsible for 0.11% of global emissions, dampening the global impact of any emission reduction it achieves. Despite Singapore’s small contribution to overall emissions, individual Singaporeans have a greater impact than one might expect. Based on World Bank data, Singaporeans produced 10.31 tons of CO2 per person in 2014. This level of per capita emissions was lower than Bruneians (22.1 tons per person), but worse than every other Southeast Asian country including Malaysia (8.03 tons), Thailand (4.62 tons), and Indonesia (1.82 tons). Globally, Singapore had the 24th highest amount of per capita emissions with emission levels similar to Japan (9.54 tons) and South Korea (11.57 tons). This high level of per capita emissions suggests that Singapore does have significant scope to reduce its overall emissions by reducing overall consumption and improving carbon efficiency. Addressing Singapore’s small percentage of global emissions, Minister Zulfiki noted that “global [climate] action calls for everyone, big and small emitters, to come on board.” In recognition of its responsibility as a member of the global community, Singapore has implemented national policies to mitigate climate change which I will outline next. Out of the 197 countries that are parties to the United Nations Framework Convention on Climate Change, Singapore was the 13th country to submit its Intended Nationally Determined Contribution (INDC), a voluntary commitment made by each nation to address climate change. In its INDC mitigation targets for 2030, Singapore committed to unconditionally reduce its total greenhouse gas (GHG) emissions intensity by 36% from 2005 levels. Greenhouse gas emission intensity refers to the amount of greenhouse gases released per GDP$. Together with the commitment to reduce emission intensity, Singapore also stated its aim to peak its carbon emissions around 2030. Compared to its Southeast Asian neighbours, Singapore’s commitments appear to be relatively substantial. Myanmar and Timor Leste did not state explicit GHG reduction targets in their INDC while Brunei did not state an explicit national target and focused solely on its energy, land, and forestry sectors. Philippines’ INDC is entirely conditional upon foreign aid that seem unlikely to be fulfilled in full, if at all, making it a weak commitment as well. Vietnam, Thailand, Cambodia, and Indonesia all have targets that benchmark against business-as-usual (BAU) models that extend up till 2030 and allow these countries to continue increasing their carbon emissions, albeit at a slower pace. More importantly, none of these countries indicated any intention to peak their emissions in the near future. Malaysia is the closest comparable to Singapore, with a commitment to unconditionally reduce emissions intensity by 35% and an additional commitment of 45% intensity reduction that is conditional upon foreign aid. It is clear that there is scope for Southeast Asian countries to take make more aggressive commitments and it is likely that these countries will do so in the near future. Southeast Asian countries could draw from Singapore’s INDC by stating explicit GHG reduction targets, identifying timelines for peak emissions, and increasing the magnitude of their unconditional commitments. Given the differing stage in development between Singapore and the other Southeast Asian countries, some might deem it inappropriate to compare between them. Comparing Singapore with other nations that have levels of development more similar to Singapore’s reveal that Singapore’s targets are relatively unambitious. Switzerland, Iceland, and Norway have committed to cut emissions to 50%, 40%, and 40% of their 1990 emission levels respectively. Closer to home, Japan has targeted to reduce emissions to 26% below its emissions level in 2013. While these countries have different geographical situations as compared to Singapore, they have all stated hard caps to limit the growth of their emissions. In contrast, Singapore’s avoidance of a hard cap allows its emissions to increase despite its stated aim of peaking emissions by 2030. This growth could occur if Singapore’s economic growth exceeds its cuts in greenhouse gas emissions intensity over a fixed period. Over the past 5 years, Singapore has averaged approximately 3% annual GDP growth. Accounting for a small reduction in growth due to reduced development opportunities, a 2.5% annual growth rate compounded over 25 years results in an overall growth of 85% over the 25 years, far exceeding the 36% cut in emission intensity. Even with a below-average growth trajectory, Singapore is thus likely to have increasing carbon emissions by 2030. This outcome highlights the limitations of using an intensity based approach instead of a hard cap to limit emissions and suggests that Singapore could do more to match the ambition of other developed countries. 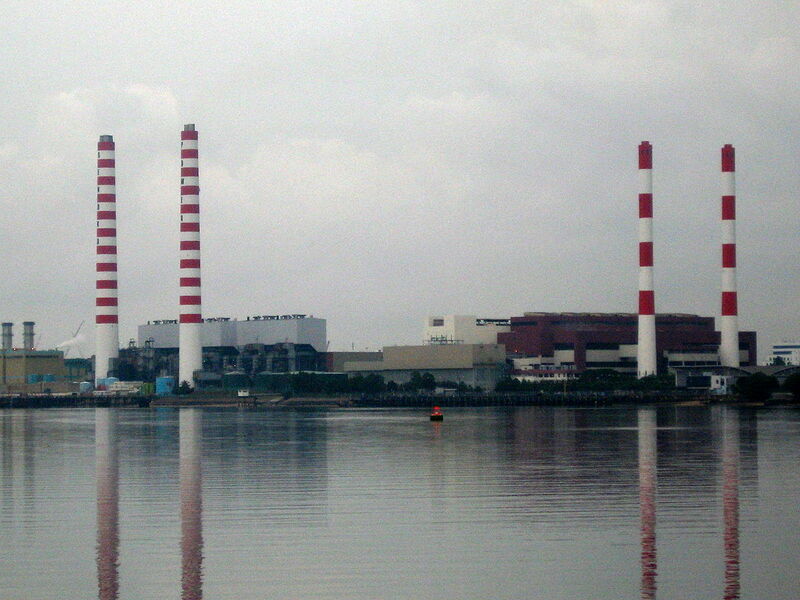 To support its emission-reduction efforts, Singapore instituted a carbon tax that kicked in at the beginning of 2019. While Singapore’s original plan was to charge between S$10–20 per ton of CO2 emission, strong responses from businesses prompted the government to lower the tax. Under the act that was implemented, businesses that emit more than 25,000 tons of CO2 or equivalent amounts of other GHG will have to pay S$5 (USD 3.70) per ton of emission from 2019-2023. After 2023, Singapore plans to raise the tax to between S$10–15. 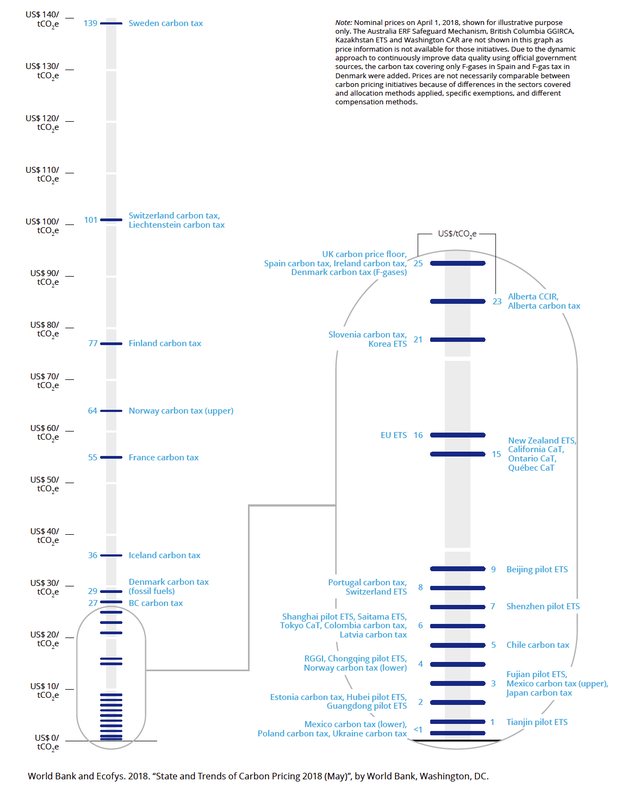 The key targets of the tax are large direct emitters that operate ‘upstream’, most of which are energy producers. It is expected that the additional tax burden will be passed on to consumers and Singaporeans can thus expect to pay more for electricity. Several members of the public have criticized the tax rate for being too low and have pointed to source like the World Bank’s Report of the High-Level Commission on Carbon Prices that state that the cost of CO2 necessary to meet the Paris Agreements is USD 40–80/ton by 2020. Singapore’s carbon tax can be considered low even in comparison to the price of carbon in regional cities such as Shanghai (USD 6), Shenzhen (USD 7), Beijing (USD 9), and South Korea (USD 21). In defense of the carbon tax, Singapore’s authorities have pointed out that the carbon tax applies a uniform tax rate across all polluters without any exception. This is in contrast to other tax systems which allot a certain quota of emissions that are tax-free and therefore reduce the efficacy of a carbon tax. While Singapore has indeed taken a step in the right direction by introducing a clear policy to reduce CO2 emissions, it needs to be more ambitious if it is to mitigate enough CO2 to keep the planet within 2 degrees of warming. A key complementary policy to the carbon tax is the liberalization of the energy market in Singapore. Historically, households and businesses paid a fix rate to Singapore Power for each kwh of electricity. Beginning in April 2018, the Energy Market Authority (EMA) instituted an open energy market to give consumers choice over which energy supplier they purchase energy from. While consumers select which companies to purchase energy from, the distribution of energy is still centralized through the national grid, ensuring a stable energy supply. The liberalization of the energy market has led to the emergence of several environmentally friendly power suppliers. The first supplier, Sunseap, is the only energy supplier in Singapore that focuses solely on developing solar energy. Sunseap offers energy plans comprising of 1%, 50%, or 100% solar energy with the remaining energy supplied by fossil fuels. At the moment, Sunseap’s 1% solar plan is the only plan that has a competitive price as compared to plans that rely entirely on natural gas. Sunseap’s other 2 plans are moderately more expensive, costing about S$5–20 more than fossil fuel plans depending on the amount of energy consumption by the consumer. However, when the carbon tax rises in the future, Sunseap’s other plans can be expected to become more attractive to price-conscious consumers. Other energy suppliers such as ES Power and Ohm Energy are banking on increased environmental consciousness to sell their plans. Both energy providers provide ‘carbon-neutral’ energy plans that purchase carbon offsets to offset the pollution caused by their energy production. The catch to carbon offsets is that not all offsets are made equally and research has found that some offsets do not meaningfully reduce carbon emissions. It remains to be seen whether the offsets purchased by ES Power and Ohm Energy offset the companies' carbon emissions through meaningful and authentic reductions elsewhere. In the meantime, purchasing renewable energy directly from Sunseap is the best way for Singaporean consumers to reduce their environmental impact from energy production. As mentioned earlier, the viability of renewable energy companies in Singapore is restricted by the nation’s small island geography. There is insufficient space for solar or wind farms and crowded waterways preclude offshore tidal or wind energy production. By contrast, neighbouring countries have a larger consumer base and greater land space which may enable them to have greater success in growing renewable energy production. Countries looking to shake up their energy mix may consider drawing from Singapore and liberalizing their energy markets while going one step further by subsidizing renewable energy suppliers. While the government has taken the lead in driving climate mitigation at the national scale, non-state actors have also emerged as influential forces in instituting climate action in Singapore. In 2018, business with a presence in Singapore began to shift away from supporting coal projects in the region. Coal releases the most amount of carbon dioxide among all fossil fuels and while Singapore does not have any coal power plants, some businesses with a presence in Singapore support coal projects abroad. Standard Chartered Bank, one of the leaders in this movement, issued a statement on 25th September 2018 stating that it “will not directly finance any new coal-fired power plant projects, including expansions, in any location”. Insurance company Swiss Re, which has its Asia headquarters in Singapore, also joined the movement by stating that it would no longer provide re/insurance to businesses with more than 30% exposure to thermal coal. Both of these companies demonstrate how businesses are beginning to shift away from coal, possibly in anticipation of stronger climate regulations across the globe. Quantifying the impact of civil society and NGOs on corporate decisions is difficult, but taking the example of the Standard Chartered decision, it is unlikely that such a decision is made without considering the influence of the public, staff, shareholders and customers, and NGOs play a role in educating and engaging these stakeholders. Climate Conversations is an NGO that is growing the pool of Singaporeans calling for climate action by organizing small, structured conversations among friends. In 2018, Climate Conversations joined several NGOs to call on Singapore banks to end loans and investments for coal projects. Recently, Climate Conversations launched an outreach campaign to encourage consumers to switch their friends over to a green energy retailer in the open energy market. Through its work, the organization hopes to help consumers make informed decisions that are climate friendly. Chris Jensen, one of the co-founders of the organization, reflected that “switching not just ourselves - but our friends - is critical to educating people on the scale of impact we can have when we work together." Students have also begun advocating for their universities to divest university endowments from fossil fuels. 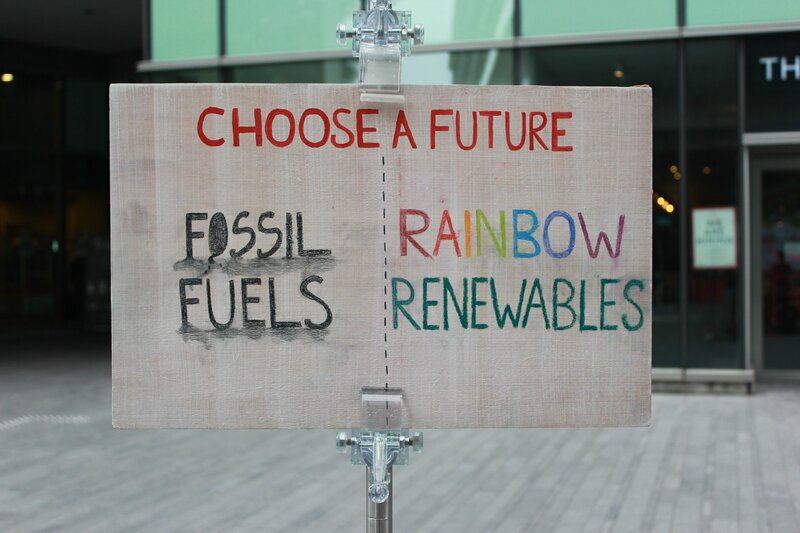 The Students Taking Action for NUS to Divest (STAND) and Fossil Free Yale-NUS (FFYNC) are two such examples. These groups argue that continued investment in fossil fuels makes universities complicit in worsening climate change and the movements campaign for climate action through university divestment. At the individual level, online environmental personalities @tingkats.sg and @theweirdandwild organized an online climate strike on Instagram in solidarity with the global climate strikes sparked by Swedish advocate Greta Thunberg. These are all examples of the different types of groups that are calling for climate action in Singapore. While state-led climate action is the main force driving emissions mitigation in Singapore, other concerned groups have emerged at all levels of society and it can be expected that this trend will continue as climate change worsens. These organizations and individuals provide a model for non-state climate action in other Southeast Asian countries, although tactics will have to be adapted to suit each nation’s unique social context. To meet its climate mitigation responsibilities, Singapore has pioneered a carbon tax and liberalized its energy market, both of which may be adopted by other Southeast Asian countries looking to reduce carbon emissions. While Singapore’s climate commitments and actions stand out among its regional neighbours, Singapore’s ambition and scale of intervention are lacking in comparison with global counterparts that have similar levels of development. The emergence of private actors calling for climate action will bolster mitigation efforts in the country but stronger efforts must be made by all parties if we are to keep within the 2 degrees limit set by Paris. 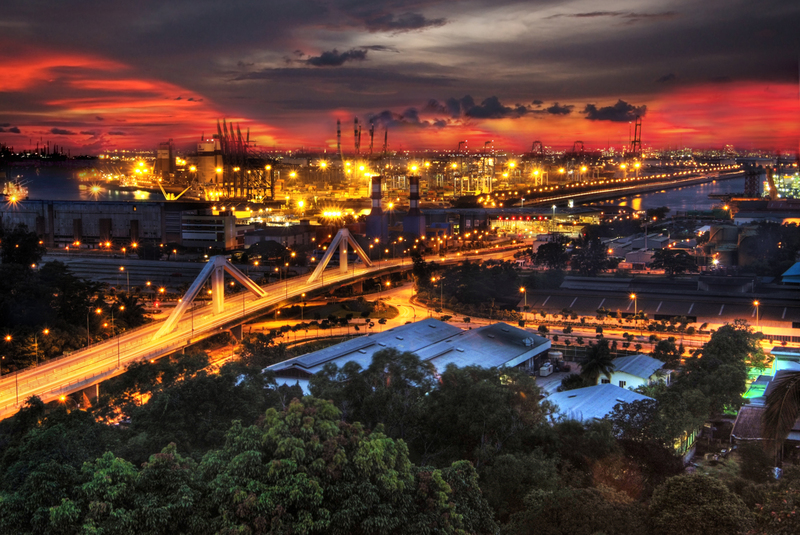 An issue in Singapore’s transition to a low-carbon economy that remains under-examined is the large petrochemical industry that operates in the nation state. As of 2011, petrochemical companies directly employed more than 25 thousand people and served as one of the key pillars of the countries’ manufacturing industry. In 2014, Singapore’s petrochemical plants refined a combined 1.5 million barrels of oil per day, making the country the 7th largest exporter of chemicals in the world in 2015. While Singapore argues that these chemicals (and their associated emissions) are mostly exported, recent research suggests that emissions accounting should factor in the entire supply chain. If the approach of measuring both ‘downstream’ and ‘upstream’ emissions were applied to Singapore, the country’s emissions footprint would be several times larger than it currently is and the country may have to reconsider its reliance on petrochemicals. Even without revised accounting standards, it is likely that the world will gradually shift away from its reliance on fossil fuels as stronger climate policies come into force. This shift in global consumption may obligate Singapore to re-evaluate its reliance on petrochemical production in the coming years, even if domestic policies are designed to accommodate the industry. While the future is uncertain, Singapore remains an interesting case study of how climate policy can be executed in a business-focused nation state. It remains to be seen if Singapore will make more ambitious commitments in the coming years as the tides around the island continue to rise. Arcadis (2018) The Sustainable Cities Index 2018. Economic Development Board (n.d.). Energy and Chemicals. Retrieved from https://www.edb.gov.sg/en/our-industries/energy-and-chemicals.html. Schulz N. B. (2010). Delving into the carbon footprints of Singapore—comparing direct and indirect greenhouse gas emissions of a small and open economic system. Energy Policy, 9, 4848–4855. Vu, K. M. (2018). Embracing globalization to promote industrialization: Insights from the development of Singapore's petrochemicals industry. China Economic Review, 48, 170–185. Yale Center for Environmental Law and Policy (2018). 2018 Environmental Performance Index. New Haven, CT.